Got the latest journal entry scanned and uploaded (click here to view the .pdf) which talks about work, my weight-loss project, birds, poetry writing and an attempt to grow some lychee seeds. I also have some shots of that spring we visited on Father's Day, and a very bare bones sketch of a quilt I want to make out of vintage fabric. 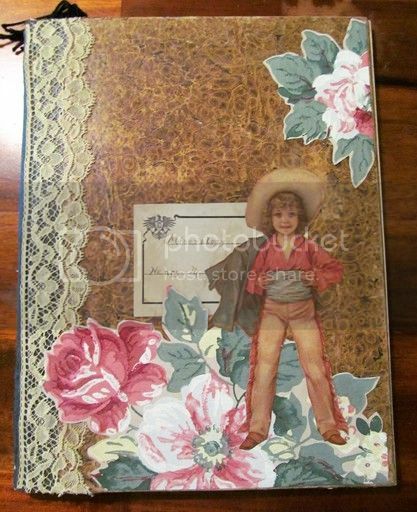 Making a cover for your journal can be as easy or as challenging as you want it to be. I make or remake a lot of my covers because it's fun, and it adds another personal touch to my journals. Often I buy discounted journals with battered or tattered covers specifically for the purpose of recovering them; I not only use them but I often give them as gifts to family and friends who journal. Earlier this year I showed you how I covered a composition book with a wallpaper remnant, which is about the easiest way to recover a journal. I've also made journals with unique covers, like this watercolor journal with a mini wool penny rug as a cover. 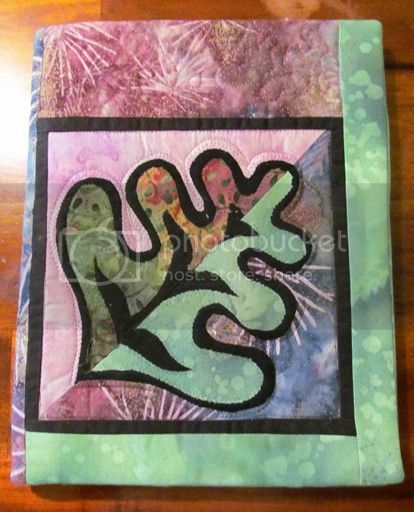 If you sew, here's how I make quilted journal covers. 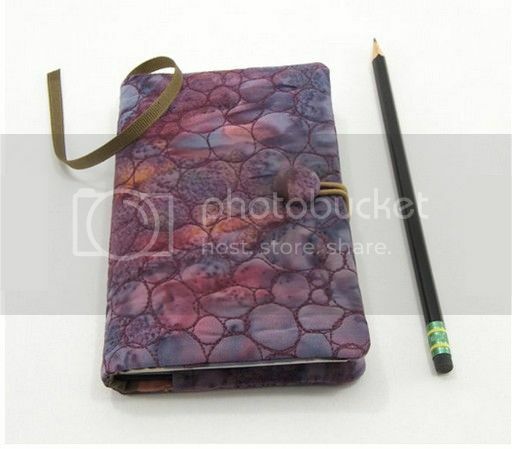 The listing for this cover is here, so you can see the inside and how well-made it is. When I want to give a writer friend a special journal I usually buy one of Sonya's covers, as they're always perfectly sewn and quilted, and fit precisely. I also like the fabrics and colors she works with to make her covers. 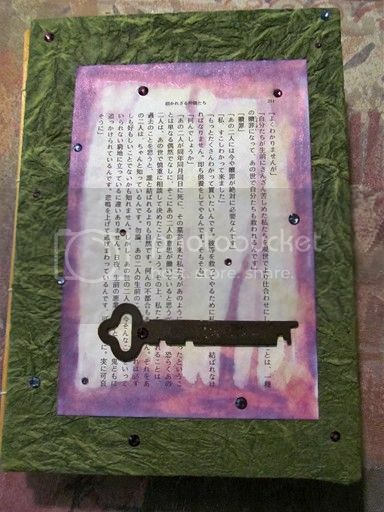 I love your idea of upcycling a tattered journal. Definitely win-win there.